Delay is not denail. 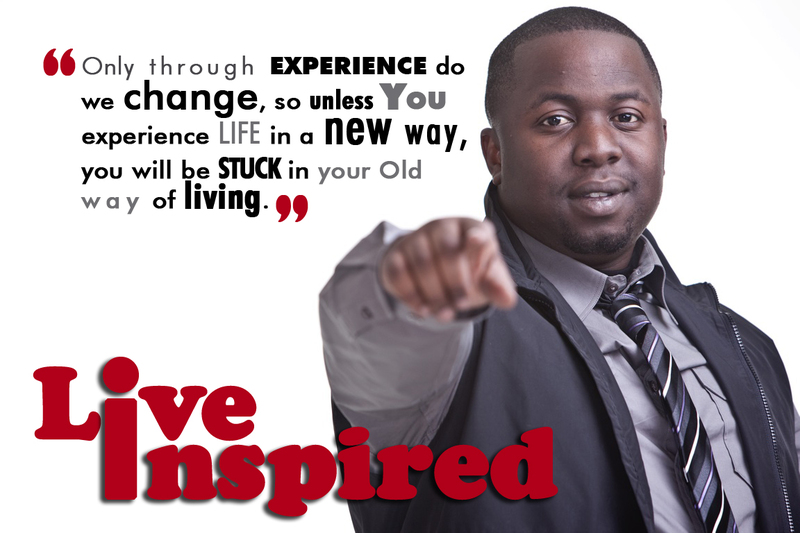 The delay is your training ground for your destiny. ROAD TOWN, Tortola, VI – Tortola today, the world tomorrow, spreading the gospel and good news of God to all, is the vision of the Hope Festival committee, not limiting themselves and their project to their community alone but one village, country, island and state at a time. 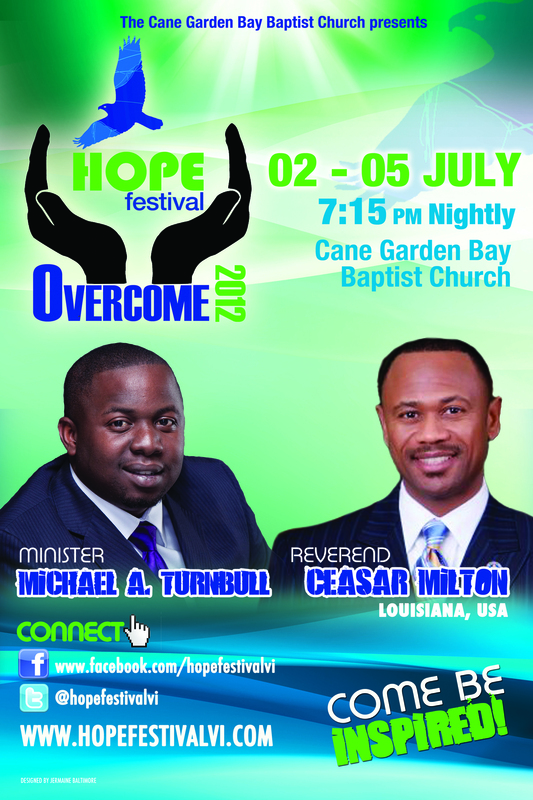 With the theme ‘Overcome’ he stated that with belief, faith and the Almighty, an idea that started seven years ago has now blossomed into a well-known annual gospel fest, and with that publicity the work of the festival committee is simply to promote peace and love and encourage people to overcome all their problems. 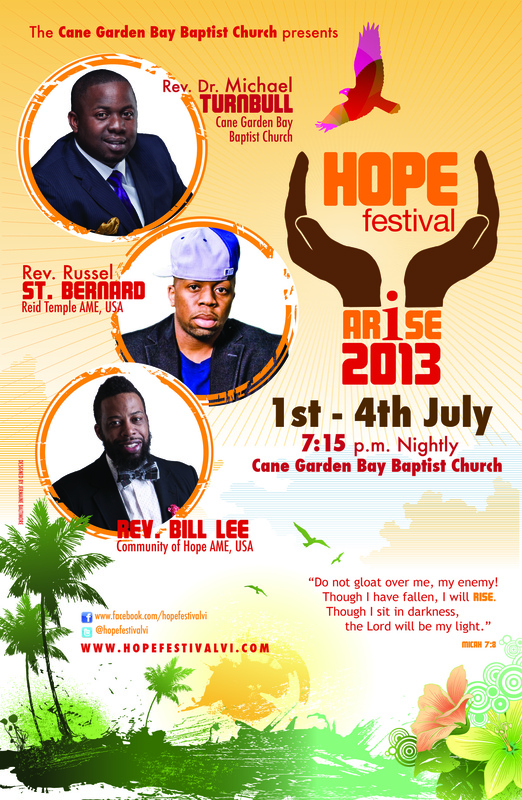 The festival is under the leadership of the Turnbulls of the Cane Garden Bay Baptist Church. 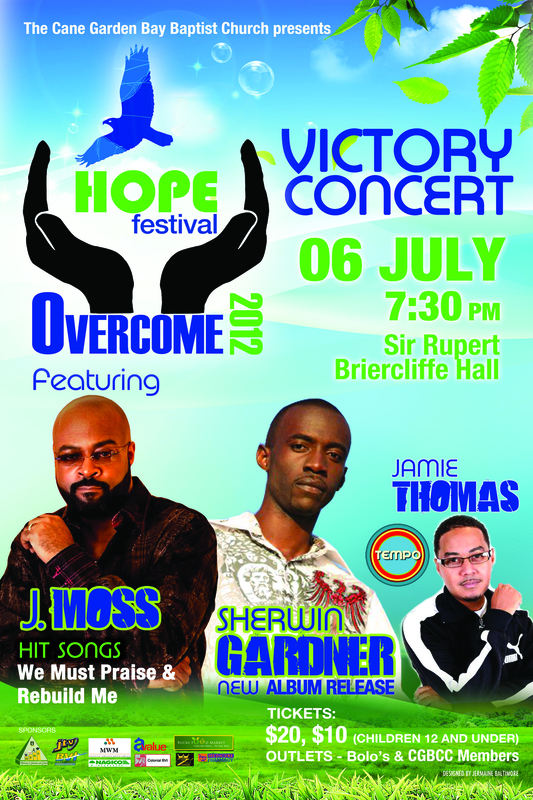 Last night, July 7, 2012, saw the 7th gospel concert for the festival which featured international gospel recording artist, J. Moss at the Sir Rupert Briercliffe Hall. The festival traditionally starts out with four nights of praise and worship along with preaching, and on the 5th night it ends with a concert. Mr. Turnbull said that persons who attend the event, no matter what year, are recipients of a grand time of celebration and praise. This year’s festival also featured the praise team from the Cane Garden Baptist Church “Joy Praise”, Men of Standard in Christ (MOSIC), Ashica Charles from the New Testament Church of God and Trinidadian gospel singer Sherwin Gardener. The event was chaired by Jamie Thomas of Tempo ‘Rise and Shine’ for the 4th year. Although it is known by all, it’s still a joy to be reminded of God’s grace, his never ending second chances, his miraculous works and his truth. The first three local acts brought the peace of God and made it evident in the Hall, in soothing songs, mixing original with the golden hymns, the flow of tears on the attendees faces could have easily been mistaken for sweat. “I need thee, O I need thee, every hour I need thee,” was the trigger point, which sent the believers to their knees, it was truly a peaceful moment. Already under the anointing, it was time to go ‘goo-goo ga-ga’ for God. Rags out, shoes off, the Trinidadian gospel sensation Sherwin Gardener, burst on stage with everybody already on their feet and their hands up. The Trinidadian brother was a hit. Performing his popular singles such as “Put your praises up”, “I will survive” and many others, the tempo of the Hall was above regular. Who said Christians can’t have a ‘wale’ of a time. From kids straight up to grandparents, everyone was participating. No judging, no one being shy, it was just as the Bible said it would be; a grand jubilee. One by one, patrons left their seats to go to the front, accepting and acknowledging the Lord as their Lord and Saviour. 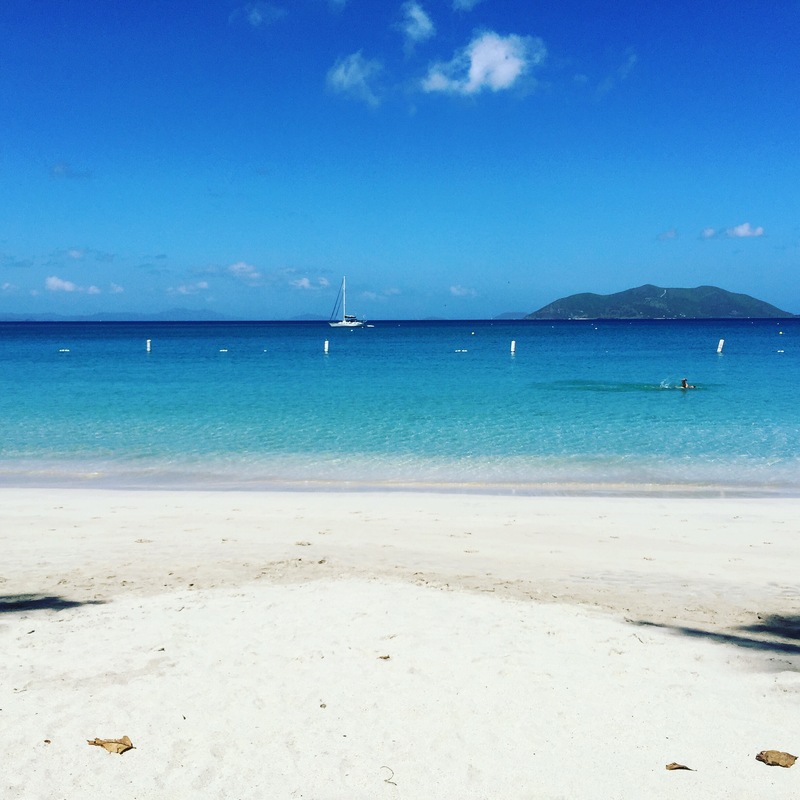 The final act came to stage, the same energy portrayed on television, the same he brought to Tortola. Performing his hits only been heard on CD, J. Moss was like a dream come true for the VI fans. His performance was certainly one to put in the books, singing and dancing, what couldn’t the artist and his two backups do? With the tempo already set by Sherwin, J. Moss fed off of that same energy and shared desserts. Sadly all good things must come to an end, he left the stage, leaving the fans full and overflowing with their blessings, and possibly thinking about next year’s gospel Hope Fest. This video maybe controversial, but it does send a strong challenge, to the religious establishment and our churches.